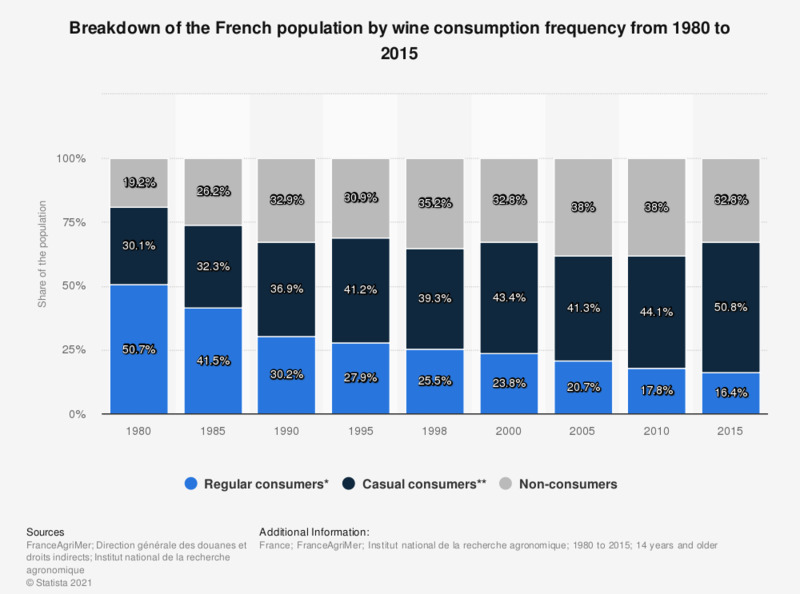 This statistic shows the evolution of the wine consumption frequency in France from 1980 to 2015. It reveals that 17,8 percent of the French population drank wine regularly in France in 2010, namely every day or nearly every day. ** Frequency: once to twice a week, or more rarely.